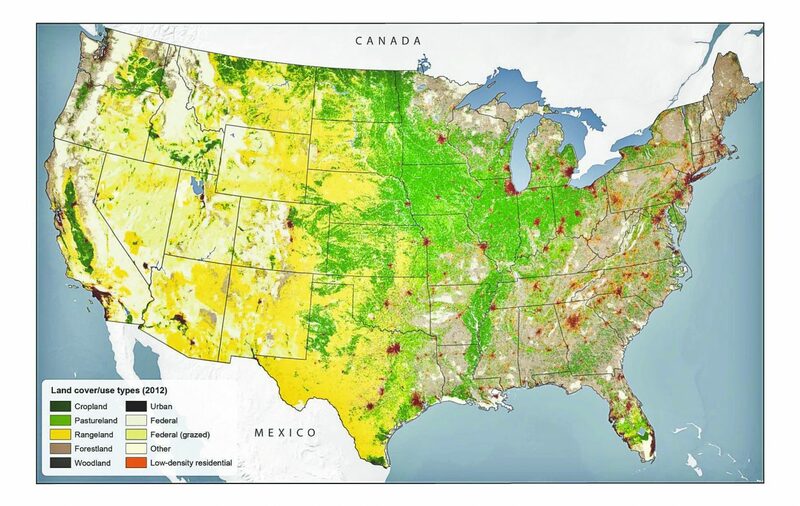 WASHINGTON — American Farmland Trust released the most comprehensive assessment ever undertaken of the loss of U.S. farmland and ranchland. "Farms Under Threat: The State of America's Farmland" sounds a stark warning: The loss of farmland is serious and will accelerate unless we take action. • Expanding urban areas accounted for 59 percent of the loss. Low-density residential development, or the building of houses on 1-to-20-acre parcels, accounted for 41 percent. "Farms Under Threat: The State of America's Farmland" is the first step in a multifaceted initiative. 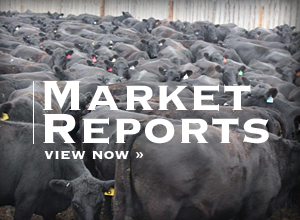 This national report will be followed by a separate report later this year that analyzes past farmland loss state by state and looks at the effectiveness of state farmland protection policies. Then AFT will assess a range of future threats, forecast potential impacts to 2040 at a county level and recommend effective policies at all levels that help conserve agricultural land. AFT is working with Conservation Science Partners, a nonprofit conservation organization, to ground the report's findings in reliable data and science. Both financial and technical support has been provided by the USDA Natural Resource Conservation Service — an agency that provides technical assistance to farmers and landowners and is responsible for improving, protecting, and conserving natural resources on private lands through a cooperative partnership with state and local agencies. A National Advisory Committee provides additional guidance. "Farmland is critical infrastructure, akin to roads and bridges," said John Piotti, AFT's president and CEO. "Without farms, there's not only no food, but there's no future. We need farmland to feed us and sustain our economy — but also to help restore our planet. "Action is needed now because lost farmland is irretrievable," he continued. "Farmers are aging, and the land they steward must be passed on to the next generation. If the trends of the last two decades continue over the next two decades, America will face a future with too few farms." AFT's goal with the release of this study is to get people to appreciate the urgency of the situation, help them see the importance of farmland to our society and understand what can be done to stem the loss. Allowing large-scale farmland loss to continue imperils our ability to feed our growing population. It challenges our economic prosperity. Agriculture accounts for $1 trillion of the U.S. GDP, each dollar stimulating $1.27 in additional activity. It protects wildlife and helps reduce air and water pollution. Farmland sequesters carbon in soil and plants, holds more water in drought, suppresses fire and provides for flood control in extreme weather conditions. And farmland contributes to the lifestyle we all treasure — as well as scenic views, open space and recreation. 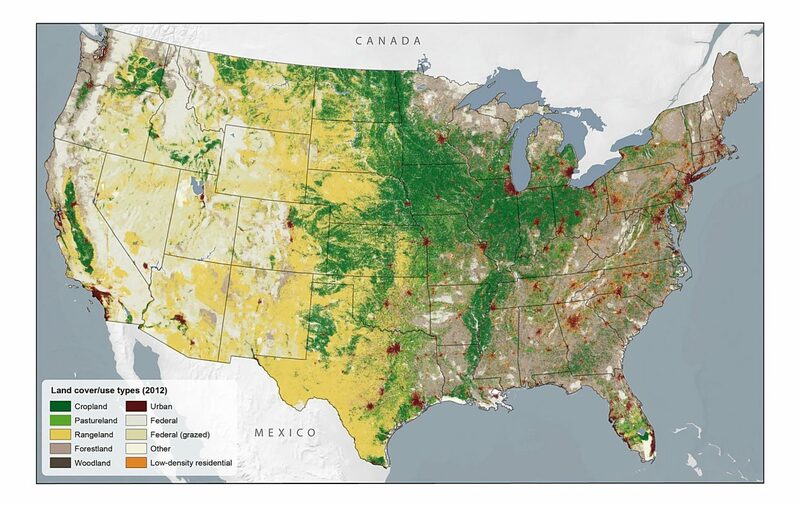 "Maps of the contiguous United States released as part of the report show actual patterns of farmland loss within counties," said Ann Sorensen, AFT's research director. 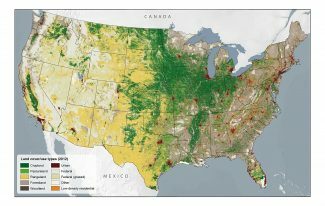 "It identifies the best agricultural land nationwide by determining which land is most productive, most versatile and most resilient." Plenty can be done to slow the loss of agricultural land, much of which already falls under AFT's day-to-day mission. However, more support is needed from federal policymakers, farmers and landowners, local and state planning authorities and the public if we are to slow the current trends. The report shares AFT's recommendations for effective action. AFT is the only national organization working across the aisle and across the country to protect farmland, support farmers, and improve farming practices. AFT's innovative work is leading a national movement to save the land that sustains us. From the beginning, AFT's work has been about much more than farmland protection. Saving acreage is not enough. We also need to save the soil and to support the farmers who steward the land. AFT recognizes the powerful interplay between the farmland itself, soil-building farming practices, and the farmers who make it all happen. This holistic approach has enabled AFT to have an outsize impact. 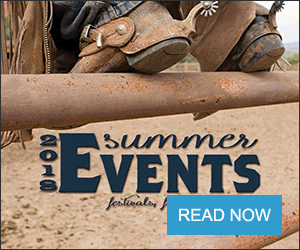 Anyone who cares about the future of food and farming in the U.S. can contribute directly to American Farmland Trust's efforts by visiting http://action.farmland.org/FarmsUnderThreat.